How much salt and baking soda should your body be producing? I have seen several references to salt (and baking soda as well) on facebook lately, some of them what I would call “alarmist” or “paranoid.” Allow me to clarify something from basic physiology: exactly how YOUR BODY SHOULD PRODUCE LARGE AMOUNTS OF SALT. A healthy person will produce an abundance of hydrochloric acid as well as sodium bicarbonate (“baking soda”), which the pancreas secretes to neutralize the extreme acidity from the stomach acid. One of the by-products of that reaction is SALT (as in table salt). The other products are carbon dioxide and water, which means of course that your body should also be MAKING large amounts of water. Note as an aside that both table salt and hydrochloric acid contain the element chlorine. The element chlorine is ESSENTIAL in proper amounts and is not something to be paranoid about in general (though perhaps in particular cases of particular chloride compounds in particular amounts). So, when someone refers to eating some salty seafood (raw or cooked), that is fine in certain amounts (even rather large amounts like the Eskimo have been doing for a LONG time). Life on this planet has been exposed to salt for BILLIONS of years. Life on this planet has been PRODUCING salt for billions of years as well. For those who are not producing enough stomach acid (a common modern issue), then a huge array of problems can go with that and ADDING salt (yes, even table salt) COULD be beneficial in cases like that. However, more beneficial typically would be promoting the production of adequate amounts of stomach acid (because then the body can make adequate amounts of salt out of the stomach acid). I have read that bio-available iodine is essential for producing stomach acid (among many other things). I consider that FOOLISH. Hypothyroidism is a label for an effect. Too little iodine produces both the effect of low stomach acid (“hypochlorhydria”) and the effect of too little thyroid hormone (“hypothyroidism”). Since iodine is required in the production of healthy thyroid hormone, low iodine is THE single cause of a LONG list of effects (not just those two). The diagnostic labels in language do not CAUSE any other physiological effects in the body (except for contributing to delusional paranoias). Beware of those who worship those labels (with their attention and paranoia). 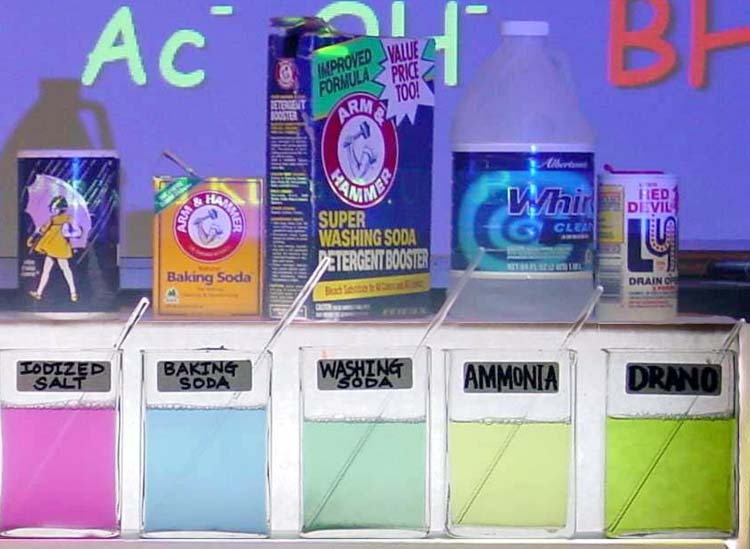 Available iodine CAUSES the production of stomach acid, which the digestive system mixes with baking soda to produce salt (and water and carbon dioxide). You can spend thousands of dollars trying to “remove” the demon of hypthyroidism which some MD told you is possessing an organism. Or, you can spend under $20 to get some good sources of iodine and, in many cases, ALL of the “effects” of low iodine levels “magically disappear” simply by adding sufficient iodine. This entry was posted on March 19, 2014 at 11:59 pm and is filed under Uncategorized. You can follow any responses to this entry through the RSS 2.0 feed. You can leave a response, or trackback from your own site.